A week has passed since Horikiri Chiyomi became small. It’s time to contact her parents to let them know she’s well again. 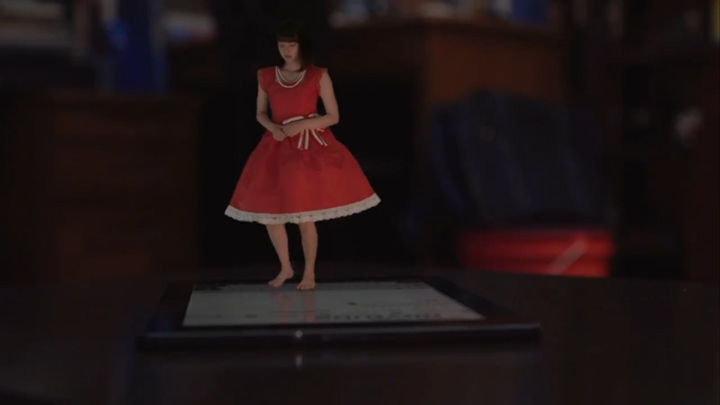 With the help of Minami Shunichi, she’s decided to film a video using Minami Shunichi‘s tablet. Her first try is not a good take as she finds herself struggling to speak naturally as she tries hard to make sure she adds the fact that she’s in Tokyo, rather than just naturally ending the sentence with ‘here’, like she’s afraid they’d figure out ‘here’ is Minami Shunichi‘s place. Minami Shunichi stops the filming and tells here to redo the filming. They do a second take. Second time round, it’s much better. It’s interesting living with Minami Shunichi Horikiri Chiyomi says in her thoughts. She had believed that after they stopped talking to each other when they were children that it would remain like this between them, but then he found her when she became small, bringing them together again. Minami Shunichi takes his phone back and scoffs at her comment about enduring loneliness. This causes Horikiri Chiyomi to stamp her feet and call him an idiot. Minami Shunichi retorts, telling her not to vent her anger on him especially when he’s still weak from being sick. It was only yesterday he had a fever and Nomura Sayori was over taking care of him and she had witnessed her try steal a kiss from Minami Shunichi whilst he was asleep. As she closes in on his lips, he mutters "Chiyomi", surprising Horikiri Chiyomi and causes Nomura Sayori to snap back from him. He mutters Horikiri Chiyomi‘s name a second time in a longing tone. The call causes Nomura Sayori to gaze forlornly to the side before walking out of his room. Had she stayed just a little longer, she would have heard him curse Horikiri Chiyomi: "You are causing me such trouble. Idiot… Idiot!" Horikiri Chiyomi screams recalling the scene. At school, Nomura Sayori is wondering if the teacher has heard anything about Horikiri Chiyomi. The teacher reports that she’s still in Tokyo, so when Takagi Riku suddenly hears a voice that sounded like Horikiri Chiyomi, he’s a bit confused. In between class, Minami Shunichi had left the classroom to head to the bathroom, leaving his jacket behind. Takagi Riku, who’s sharing his snacks around with some classmates, walks past Minami Shunichi‘s chair and accidentally knocks over his jacket which hangs there. The fall of the jacket causes Horikiri Chiyomi to cry out in pain and causes Takagi Riku to stop in his tracks, wondering why he heard Horikiri Chiyomi‘s voice all of a sudden. His gaze lands on the jacket on the floor, suspecting it to be where he heard the voice. 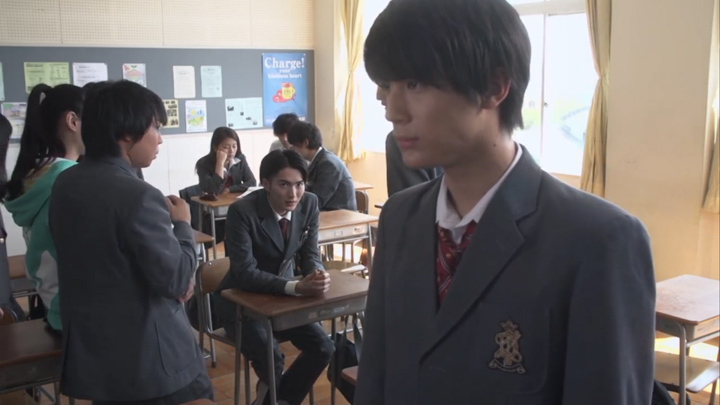 Just in time, Minami Shunichi comes back into the classroom to stop Takagi Riku from picking up the jacket. At the door way, Minami Shunichi shouts across the classroom to Takagi Riku at the back, ordering him to not touch anything. He hurries over to his jacket to embrace it protectively. He then runs out of the classroom to the rooftop where he checks whether she’s alright after taking her out of his jacket pocket. He seems to have been quite concerned about the incident, as he lets out a sigh of relief upon hearing her confirm she was alright. Soon after arriving on the roof, Yabuki, the Kendo Club member who’s been trying to convince Minami Shunichi to rejoin the club is back to try once again. Yabuki tells him that one of his members, Takatori, got injured. Without him, they’re one member short and unable to participate in their upcoming competition. What’s more if they fail to gain members this year, the club would be abolished. Minami Shunichi gives the reason of needing to enter med school, but it’s just an excuse. Horikiri Chiyomi calls him out on it, saying that it is just one match and it wouldn’t interfere with his studies. She knows he wants to do Kendo, but she thinks he’s just to scared to lose. Minami Shunichi erupts at her, telling her to shut up. She seems to have hit the nail on the head. She continues, telling him that no one would think any less of him because he would have tried his best before accidentally revealing her feelings for Minami Shunichi, saying that the Minami-kun she likes would not be such a coward. Minami Shunichi appears to have picked up her confession, but he doesn’t respond to it. Instead, he only tells her not to talk so big: without him, she can’t do anything. Nomura Sayori arrives on the roof, looking to join Minami Shunichi for lunch, not just for their current lunchtime, but from now on. Minami Shunichi is surprised by her forwardness, but he doesn’t refuse her, which earns him a jab in the chest from Horikiri Chiyomi inside his jacket pocket: she won’t be able to eat if Nomura Sayori joins him. Nomura Sayori is not discouraged from the rejection. It has her ask Minami Shunichi to a cafe to study together. The response has Nomura Sayori question if it’s because of Horikiri Chiyomi and whether she’s really at Tokyo. Minami Shunichi answers her question with another question, asking her why she was asking such a question. She doesn’t say, only following it with a request to see him after school to study together, not discouraged by the rejection. Minami Shunichi agrees to the study session. It is more like a date than a study session. Although they are both sitting silently across each other, looking at their books and writing notes, it takes place at a non-traditional location, a cafe. Horikiri Chiyomi is taken along in his pocket. Finding the meeting boring, she eventually falls asleep, causing Minami Shunichi a bit of embarrassment as she snores rather loudly. This causes Nomura Sayori to laugh loudly at him before suggesting they order something from the menu, thinking the noise was his stomach protesting for food and his fake cough was him trying to cover it. For a moment, he’s surprised by her laughter, but his lips curl slightly at the corner as if he’s finding the situation a bit funny himself—either that or he can’t find the nerve to stop Nomura Sayori‘s laughter. After the study session at the cafe, they walk home together and get talking about his father. Normally it’s a taboo subject (as Horikiri Chiyomi states), but when Nomura Sayori asks about his father’s disappearance, Minami Shunichi openly talks about him, telling her about how he got a lover and left him. This in turn has Nomura Sayori tell him that one of her parents, her mother, left her and she too doesn’t consider her to be her mother like Minami Shunichi doesn’t consider his father to be his father. By the way Horikiri Chiyomi crossed her arm and her surprise, she seemed sure Minami Shunichi would close up on Nomura Sayori, but when she heard both share their similar stories, she realised that Nomura Sayori and Minami Shunichi have an unspoken understanding between each other. They reach Minami Shunichi‘s place. They say their goodbyes, but neither seems to want to make a move towards their home. Nomura Sayori stands there staring at Minami Shunichi. Minami Shunichi seems to want to take his leave, but seeing Nomura Sayori not make a move towards her home, he stands there as if waiting for her to take her leave or say or do what she seems to say/do. Few awkward moments pass before Nomura Sayori finally makes her move and take a step towards him, looking to kiss him. Minami Shunichi‘s heart quickens. For the small Horikiri Chiyomi who’s right against his thumping heart, it is loud. Showing no signs of backing away from Nomura Sayori who’s closing the final distance between them, she jabs him in the chest to wake him from his apparent trance. Minami Shunichi immediately steps off to the side. It stops Nomura Sayori from capturing his lips, but it doesn’t stop her from sneaking in a kiss on his cheek. Thinking Minami Shunichi‘s sudden retreat is because he’s never kissed before, she seductively ask if she could reserve his lips. The question has Minami Shunichi stutter. His heart which stopped thumping against his chest starts up again, beating so loud it has Horikiri Chiyomi cover her ear: "I hate it! It’s so loud," she says. Nomura Sayori bids goodbye to the clearly affected Minami Shunichi. Back at Minami Shunichi‘s room and temporarily alone, Horikiri Chiyomi vents her anger through dance and loud music. (Minami Shunichi‘s out of the room getting her a snack.) "You idiot, Minami! How can you not know how I feel?" she shouts. This anger seems not to be fully—or even at all to be—about Minami Shunichi‘s relationship with Nomura Sayori and how well he responds to her. She seems to be frustrated that she won’t let her help him. Her flashback to Minami Shunichi‘s talk about his father earlier and a scene of the young Minami Shunichi practising Kendo on the beach indicates that may be the main reason behind her frustration. Upon Minami Shunichi‘s return, Horikiri Chiyomi‘s second attempt to convince him to participate in the Kendo competition has him react quite explosively. Kendo being an activity his father influenced him to take up, it has a great connection to his father. She suggests that the fact he continues to practise swings to this day is proof he probably still loves him. She surmises that it’s a way for him to stay connected to his father. Minami Shunichi kicks down a trash can and fiercely denies ever thinking about him. He’s forgotten him already. The angry response gives Horikiri Chiyomi a fright, but it doesn’t discourage her from carrying on, calling it all a lie. If what he said was true, he wouldn’t have changed so much since his father left. Minami Shunichi becomes even more emotional, shouting at her and finally reveals to her the reason for this sudden change and the answer to the question she’s had all this time—why he ignores her, why their friendship broke all of a sudden. His father left and abandoned his mother and grandmother. Of course he had to change in order to protect them. He must become a doctor as this is the only way he’d be able to give his mum and grandmother a comfortable life. He doesn’t have time to take part in club activities like the Kendo Club or invest in superficial friendships (suggesting the friendship between him and Horikiri Chiyomi). Although Horikiri Chiyomi appears to understand his burden, she doesn’t seem convinced that it is the reason he’s reluctant to participate in Kendo. After all the competition would only take up a day. It wouldn’t get in the way of his studies. 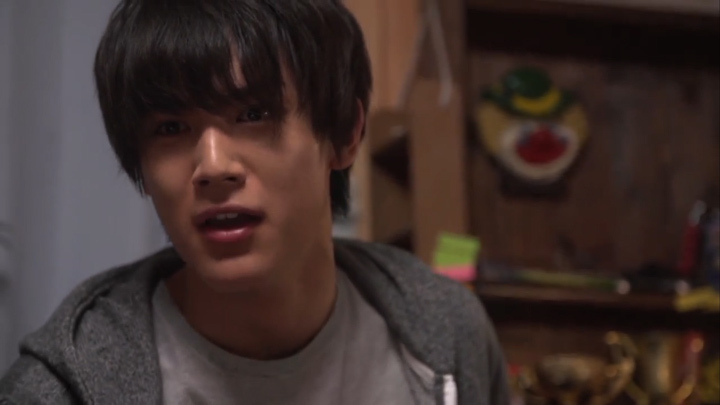 Minami Shunichi‘s tone conveys a grudge towards his father, which Horikiri Chiyomi seems to pick up. She leaves him a question that’s more for him to think about the real reason he’s not participating in the Kendo competition. A grudge against his father might be what is holding him back from participating in the Kendo competition. After Minami Shunichi‘s conversation with Horikiri Chiyomi, he heads downstairs to ask if his mum whether she had any grudges against his father. Her response was that everyday she lived with all her might and so she had no time to have any grudges. She goes on to see the brighter side, saying had she not married his father, she wouldn’t have Minami Shunichi as her cute son. She wouldn’t be living with his grandmother like this. She tells him that although it was hard for her when he left her, she is happy now. The conversation with his mother as well as Horikiri Chiyomi looks to have had an effect on him as in the end he decided to participate in the Kendo competition. At the competition, Minami Shunichi is Tateyama No.1 High School‘s best hope for beating Awa-Higashi High School, but facing against the nations 5th ranking Kendo swordsman proved too much for him. He landed a strike at the opponent’s throat, but in the end he could not defeat his opponent. He takes the defeat hard and is seen to retreat to the back of the gymnasium, cursing at himself for the failure. Both Nomura Sayori and Horikiri Chiyomi go to him, but neither feel they could approach and console him. Night falls and Minami Shunichi is seen fast asleep. Horikiri Chiyomi, who’s still awake, decides to update her online novel after a long absence. Her newest work compares a womb to (what we think to be) the inside of Minami Shunichi‘s pocket: "The place is dark, but it is warm, and you can always hear the sound of the beloved one’s heart beat. You realize that you have been surrounded, protected and nurtured by its absolute tenderness. That’s the very first memory of happiness." Minami Shunichi, who’s without Horikiri Chiyomi this morning (he let her sleep in after seeing her sprawled over his phone and fast asleep). The shock is soon replaced by disgruntlement as Takagi Riku proudly declares his love for Horikiri Chiyomi to all his classmates after being asked about his feelings for her. With a scowl on, he gets up. He doesn’t take his gear with him, just himself out of the classroom. He does not want to hear anymore of it. As Minami Shunichi walks past the group, Takagi Riku deliberately mentions the fact that Horikiri Chiyomi also knows about his feelings for her. It’s not so much for his classmates to hear, but for Minami Shunichi. He seems to be picking up that Minami Shunichi is his rival for Horikiri Chiyomi‘s love. Minami Shunichi appears to have changed in the way he regards Horikiri Chiyomi. Before school, he was worried when he didn’t see her in the small bed next to his. When he found her, he spent a moment gazing at her sleeping before moving to brush her locks of hair away from her face to clear it. After school, he is seen running home. Usually, he walks home from school when Horikiri Chiyomi is in his pocket. On this day where she’s not with him, he’s running. He is clearly thinking about her and worries over her. 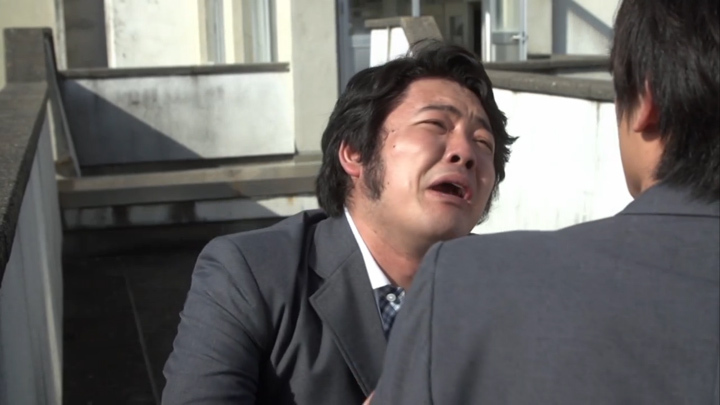 The final scene of Horikiri Chiyomi asking Minami Shunichi why he didn’t wake her. He tells her that he tried, but she wouldn’t wake up. Horikiri Chiyomi then asks him about whether he got her email about buying her the Monthly Dance Times magazine. He apologises (he actually apologised for it!) and tells her that his phone ran out of battery and wasn’t able to receive it. Horikiri Chiyomi cries in disappointment. He makes the excuse that he has no choice but to get the magazine with her, but it’s clear he wanted to with how easily he was persuaded. So off the two go to get the magazine. As Minami Shunichi dashes out the door with Horikiri Chiyomi to get the magazine, he passes a man covered up in a white mask and sunglasses. This man was previously at the Kendo Club watching Minami Shunichi‘s match with his opponent. Now, he’s at Minami Shunichi‘s house, appearing quite suspicious. Poor Chiyomi! She was made to witness another heart-breaking moment between her love rival, Nomura Sayori and Minami Shunichi! The story had to make her sit through the study session and have her hear his thumping heart when Nomura Sayori approached him and kissed him on the cheeks. Not saying we didn’t like the way they brought in more of the love triangle between Horikiri Chiyomi, Minami Shunichi and Nomura Sayori—because we actually really like the way they brought it in—but it did make us think whether Minami Shunichi thought about how boring it would be for Horikiri Chiyomi to be stuck inside his pocket the whole time. Of course, it could be that Horikiri Chiyomi agreed to tag along just to make sure she can keep him from falling for Nomura Sayori‘s seductive ways. Nomura Sayori is not nicknamed "Pheremone" for nothing. It seems even Minami Shunichi is not immune to her lure. Nomura Sayori may affect Minami Shunichi and she seems to be able to get him to open up more about his father, but it feels like he’s just to polite to yell her the way that he does at Horikiri Chiyomi, which in our view means that she hasn’t managed to really get close to him. Minami Shunichi‘s relationship with Nomura Sayori is quite a superficial one, while his relationship with Horikiri Chiyomi is a much deeper one. Horikiri Chiyomi gets to see all sides of him. Nomura Sayori only gets to see only the passive, numb version of him who doesn’t get angry, sad or bothered. Horikiri Chiyomi may have appeared to have lost to Nomura Sayori at the start of the episode with Minami Shunichi opening up about his father to Nomura Sayori, but Horikiri Chiyomi won at the end with her persistence in getting him to participate in the Kendo competition. Horikiri Chiyomi also got him to gaze at her softly whilst she lay asleep on his phone. Unlike Nomura Sayori who did all the approaching, Horikiri Chiyomi got Minami Shunichi to move a little towards her after the Kendo competition when he was affected by Takagi Riku‘s declaration. The Kendo competition seemed to have made him let go a little. Kendo seemed to symbolise his relationship with his dad in some respects: quiting the Kendo Club was like ‘quitting’/rejecting his dad; and returning to participate in a match of the Kendo competition is like a step forward from that. Now we wait for him to start doing something with his relationship with Horikiri Chiyomi! With Takagi Riku seemingly challenging him for the love of Horikiri Chiyomi, we’re hoping it will be very soon Minami Shunichi starts seeing Horikiri Chiyomi as an important person to him! Before we see more of the love triangle, though, it looks like there’s another story coming in first. At the Kendo competition, a masked man with black sunglasses was amongst the spectators. It’s got to be Minami Shunichi‘s father, so it looks like he should be coming in next. Whether it’s more of the story relating to Minami Shunichi‘s father or Takagi Riku and Horikiri Chiyomi, we’re excited. 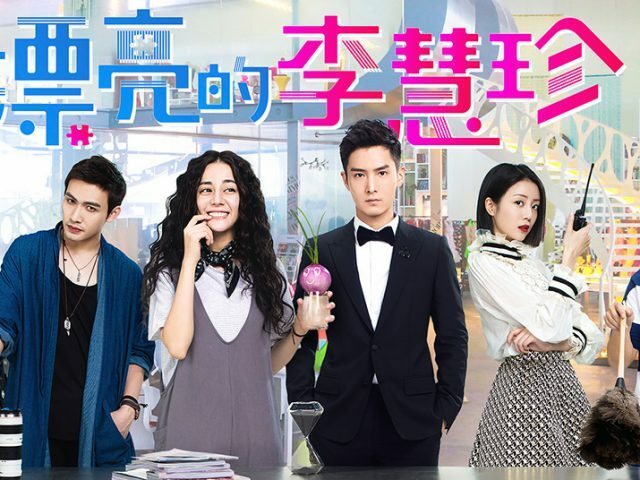 This drama is really awesome so far. It’s developing super well. We can see how this the Minami-kun no Koibito story could be adapted and re-adapted again so many times. This manga story is probably like It Started With a Kiss where no matter how many times it is adapted, when it is adapted, the story catches audiences time and time again. If this drama turns out good, we might just search out the older adaptations, too!